Wow where has this year gone?! This is my last meal plan of 2012, I can't believe it! 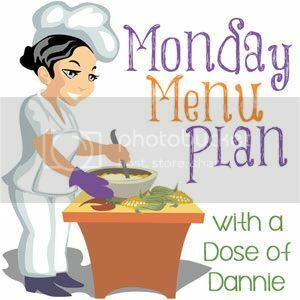 This week's meal plan will start off not so healthy -we all need to celebrate New Year's Eve with a little indulgence right :)? Then we will get into some healthy eating again. The past few weeks have been very hard on my eating habits and energy levels. I know they are directly related it has just been SO HARD to eat right when so many yummy treats were calling my name! So now it's time to fight those temptations. On a side note, over the next few weeks you will notice an increase in the number of gluten free recipes in my meal plans. I am attempting to reduce the amount of gluten we consume to see if it improves my overall digestive health and Little A's focus and attention. Friday: Cauliflower Crust Pizza 3 Points+/serving 1 serving is half a pizza!! Hopping by and following your Pinterest. Thanks for stopping by, hope you like what you see! 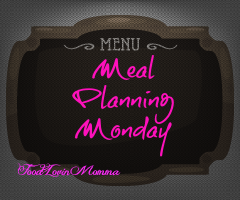 Meal plan is perfect and I would like to taste cranberry apple pork roast.